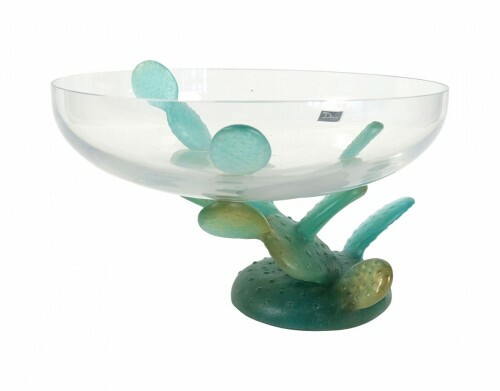 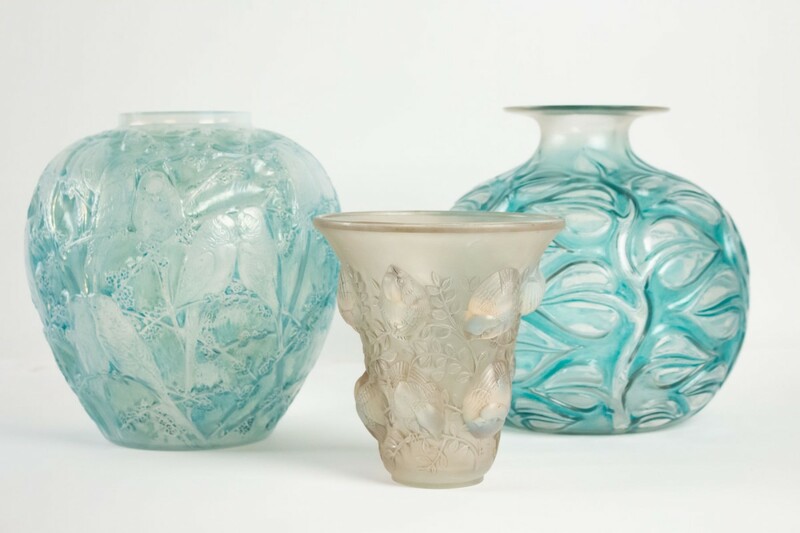 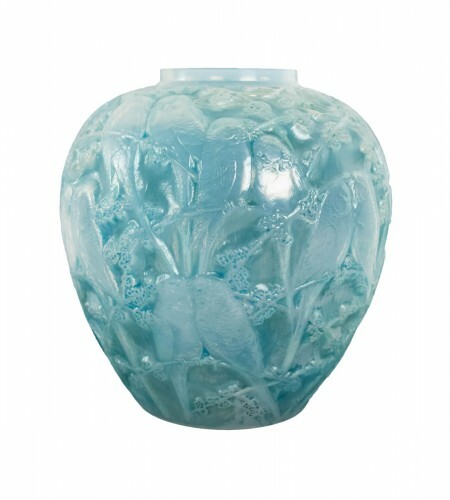 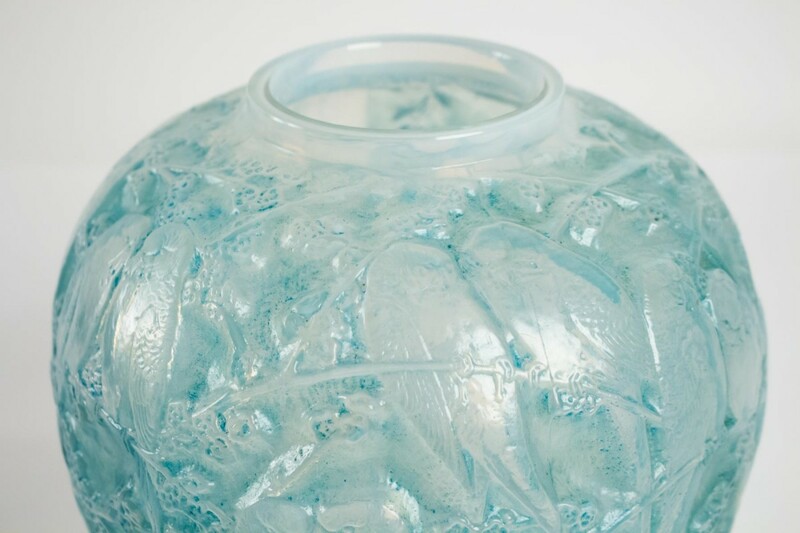 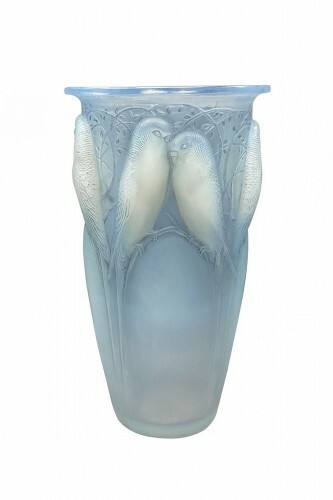 AnticStore > Catalogue > Glass & Crystal > 20th century > René Lalique - Opalescent Vase "Perruches"
Opalescent decorated all-over with a design of pairs of small birds perched amongst foliage. 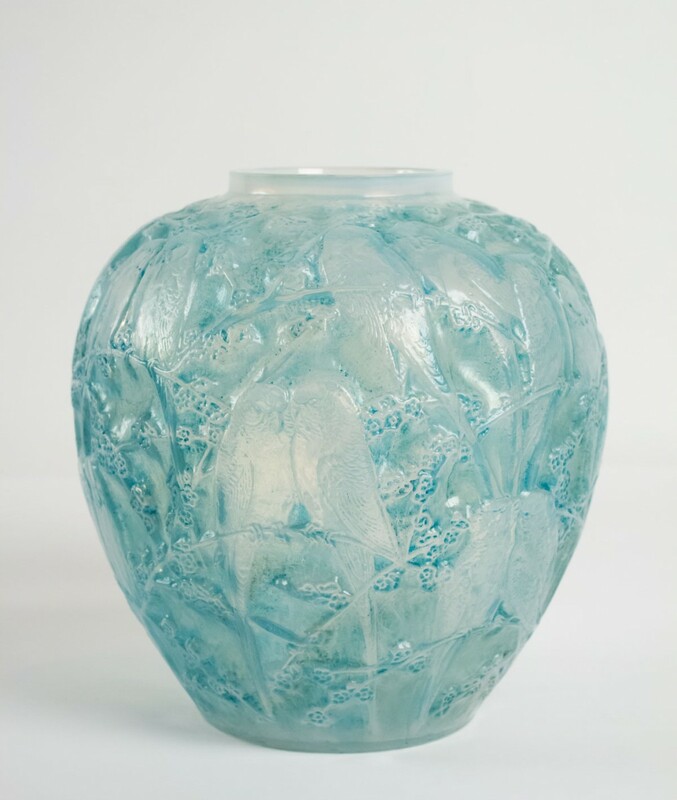 "Perruches" an ovoid shaped vase in amber tinted blown-molded glass. 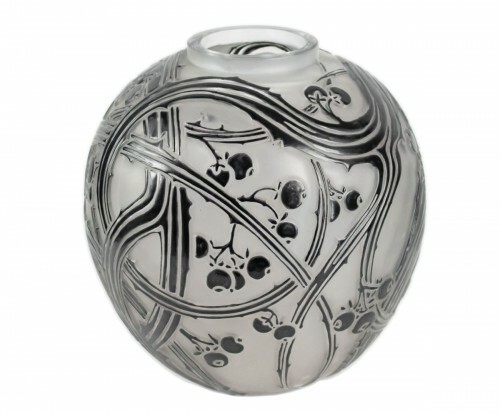 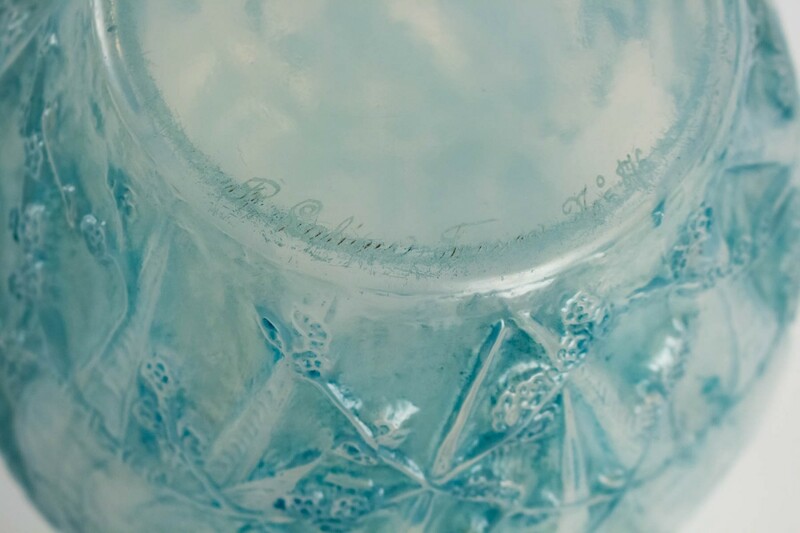 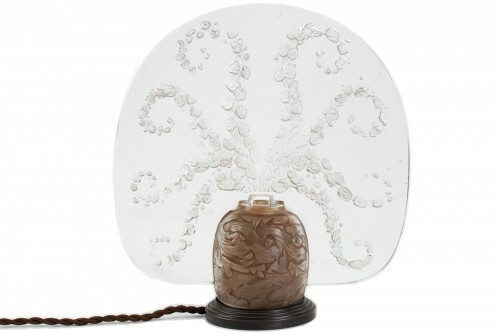 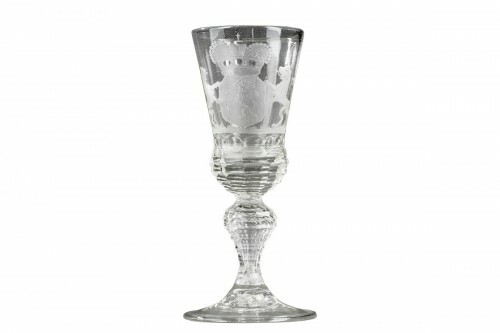 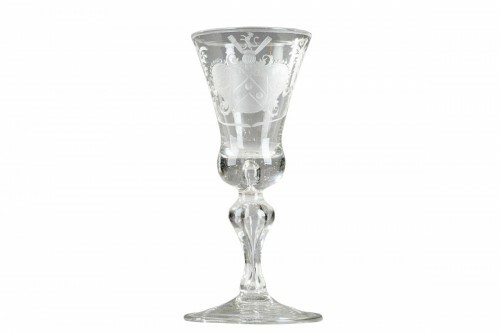 Signed "Lalique".